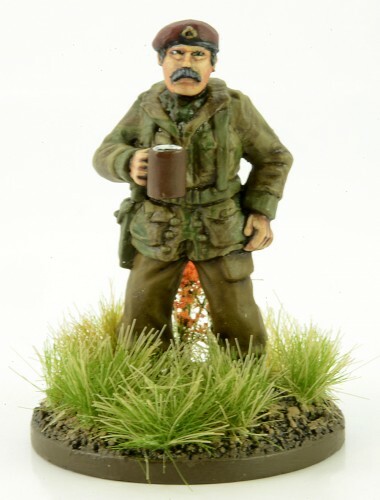 WWB200 - Para General with Tea. British Paratroop Major General taking a tea break, Arnhem 1944. The figure is 28mm sized, made of metal and supplied unpainted. This model was painted by Mark Wheatley.